I was 14, it was the summer of 1979 and my dad took me to London for the day to shop for records! …there was no point booking into a hotel so we just grabbed a breakfast and wandered the streets until the shops opened. 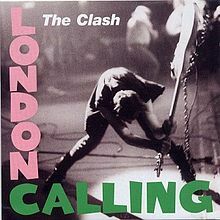 We went to London quite simply because the music stores there were incredible – there was “nothing like that here“, just a few limited shops (Eason’s, Lee Records and Woolworths) with a tiny selection of records. I’ll never forget that scorching summer’s day with my poor dad standing patiently at the door of HMV and Virgin as I spent hour after hour browsing these mega-stores, shelf by shelf. I can still remember the excitement in those stores – packed with possibility, undiscovered gems, fabulous artwork ..it was theatre. 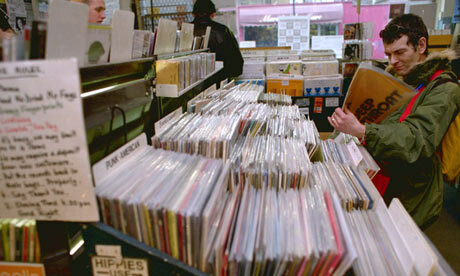 I eventually purchased over 20 records, rare items, bargains and basically music that I just couldn’t buy in Ireland. Another memory of that day was the huge amount of women walking around London wearing no bras!! It must have been fashionable but I had never seen the likes of it before and I can promise you it made a big impression on this impressionable 14 year old … between the lack of sleep, the intense heat and the “scenery”, I remember feeling quite dizzy! As we know Ireland gradually caught up with London and even in Cork we ended up with Golden Discs, HMV and Virgin. My own love for music resulted in me opening my own stores …the dream of a 14 year old! Despite all of our progress and advances in technology we are very close to a situation where there will be “nothing like that here” and even worse “nothing like that there” – HMV are nearly gone and the others are not far behind (I sold my stores a number of years back and the crew that bought them have since gone out of business). We can thank unsustainable rents, record companies who handed their Top sellers at big discounts to supermarkets, record companies who switched to digital technology that it couldn’t manage and music stores who lost their passion for music, for where we have ended up today. That incredible feeling of browsing for magic in the shelves of music stores was one of the special things in my life that has brought me so much pleasure.. This entry was posted on January 18, 2013 at 10:00 am and is filed under Customer Care, Holidays, Irish Economy, Marketing, Retailing, Sales. You can follow any responses to this entry through the RSS 2.0 feed. You can leave a response, or trackback from your own site. Progress? Absolutely it’s progress. In the same way that nostalgic overnight bus journeys and hippies and beatniks skimplily dressed wandering through Soho make fantastic memories and are valuable cultural milestones, the fact that we have moved on and can now fly to london or manchester cheaper and faster than a train journey from dublin to cork is to be welcomed, and the advance of technology in music and entertainment is the exact same. The record company / record shop model never fit comfortably with artists who famously rebelled and fought with “the man”, and also placed an unreasonable and limiting up front expense on consumers, driving piracy starting from taping chart shows on sundays onto BASF LH90 casettes carefully pausing between announcements through napster and now torrents and other illegal downloads. The model has been crying out for a paradigm for a long time, and while direct distribution through itunes and others has been an interesting evolution of the industry in my view it has certainly not reached stable equilibrium yet. You still need to pay what is an apparantly high up front cost for an unlimited licence to “own a portion of an artists soul” indefinately, a very valuable commoddity cheap at 99c. My personal view is that licenced unlimited streaming services like spotify, netflix, pandora, music hub and others will provide a much richer on demand musical experience, while delivering fairer royalties to artists and shortening the distribution channel immensely. The vinyl will not be in the press though, but I for one will not miss it. Great insight Tom and you make some fabulous points – I know I love those memories and “progress” has managed to make some things worse IMO. By the way I probably spend more money buying CD’s on Amazon than anyone you know !! Thanks Greg, oh there are plenty of things that progress and technology have spoilt completely (TV, tablets and phones replacing conversation at mealtimes or kids playing football on the xbox for hours with a perfectly good garden outside), and other areas that are much improved (TV match officials in rugby and blogs like your own are two examples) but I believe the music industry is ripe for revolution, and only the middle men will suffer. Greg you create such an amazing picture – what a fantastic story. And your dad sounds like the coolest! Absolutely Bren C – Plug’d is all about passion for music. Hopefully that will keep them alive. 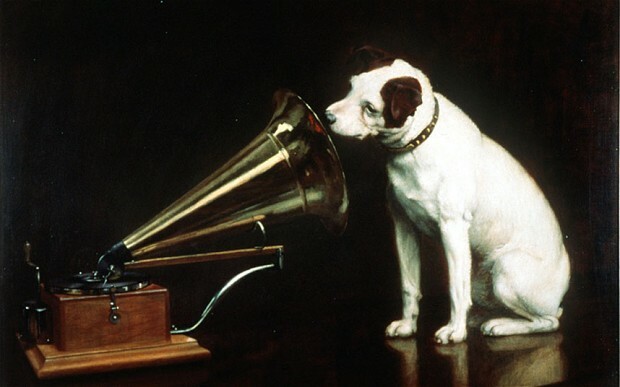 I’m guessing HMV started out due to a passion about music. Of course, you’re absolutely right in what you say about the music business but only as part of a bigger picture. As a general comment, isn’t it remarkable how, in many aspects of big business, there seems to be little awareness or at least visibility, of change management skills? Haven’t you noticed how until quite recently – and still today – the executives running the largest companies (in financial services, retailing and manufacturing) have been allowed to operate systems and procedures that would have bankrupted smaller enterprises long ago? Whatever happened to the principle of management team members possessing common sense and entrepreneurial flair, as a prerequisite to their appointment? The music business has had a death wish for over 30 years, not only in the ways that selling the product has changed but in itself – the content has failed. When you and I visited specialist shops in London to buy the latest American imports, we were looking for something special because even radio served up no more than a diet of top 40 rubbish and we knew that that there was a whole lot more available. “Supermarketing” music never really worked and independent stores have faced enormous difficulties, in much the same way as the local butcher/greengrocer has suffered. You make some great points Chris – how do you reckon the consumer is at fault? Are you talking about illegal downloading or something else ? No, Greg – what I mean by consumers bearing responsibility might require expansion of my point about the local butcher/greengrocer and concerning your blog – record shops. Do you buy prepacked meat at a supermarket, or do you support people like Crowley’s in Ballincollig or my friend Des Cahill in Ballintemple in Cork? Do you buy fresh fruit and vegetables in season from a specialist shop, just around the corner from your home, or shrink-wrapped “whatever has been flown into Tesco’s distribution centre”? If consumers want choice, if they want to avoid the “horesburger” issue, if we all want to be able to track down the tracks that we really want to hear, we must support traditional ways of shopping or the High Street will die. I’m not saying consumers shouldn’t take advantage of change; I’m saying that change should be embraced when it is to our mutual advantage and, I repeat my point that just like the CID who “govern” us, big business just doesn’t have a clue about managing that change. We are the architects of our own destiny. We must share the responsibility for the recent job losses at HMV and Blockbuster; we caused those job losses by searching for “convenience”. The whole DIY phenomenon – B&Q and so on – means that fewer painters & decorators, carpenters and plumbers are being trained and employed. Servicing your car requires more of a computer engineer than an old-fashioned motor mechanic. We all saw what happened when houses were thought of as an investment, not a home – we’ll be paying the price for that fiasco for generations. If you’d like to discuss any of this topic further, let’s meet for coffee sometime soon…. Hi Chris – now I see where you are coming from. Every time I buy from Amazon I’m cutting out a retail job etc .. Of course you are right. I do think the music industry more than most played a huge part in the demise of stores with the choices they have made – they will arrive at a point where the only place you will be able to buy back catalogue is online. That impulse purchase as a result of great packaging, great advice, a great window display, a band making an appearance at a store signing and a place with a great buzz and vibe where people with similar interests gather will be no more .. The future …. A few small music loving stores, online and purchases at gigs. “Nothing like that here � Greg Canty Fuzion Blog” was a wonderful post, can’t wait to read through more of ur articles.